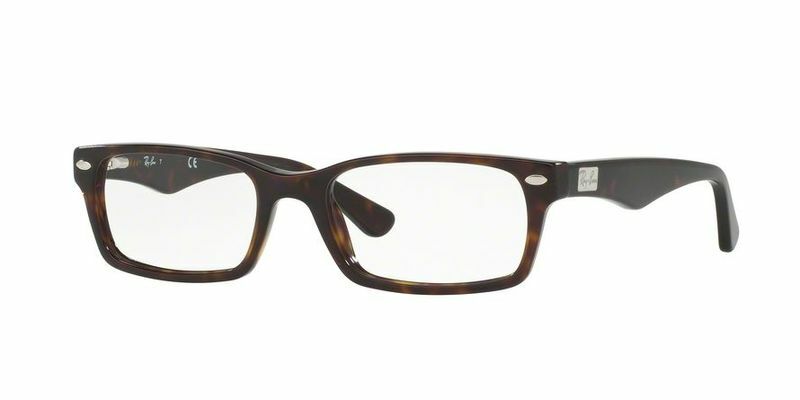 These are beautifully designed men's Ray Ban RX5206 eyeglasses for those men who want to make a statement and stand out from the crowd. The thick fully rimmed frames are a real showstopper. You'll be able to let your personality shine through your eyewear with these unorthodox Ray Ban RX5206 eyewear frames. Show your personality through your frames with these comfortable rectangular shaped glasses that mold perfectly to the face. Show them that you mean business, but also let them see you've got a more playful side at the same time. These classic frames will help you be sensational. They'll help you be exquisite. They'll help you be sophisticated. With their classic design and subtle decorations, this is one Ray Ban RX5206 eyewear style that will seal your timeless look. I ordered these glasses and had an issue quickly after. The process to solve the problem was easy and I received a replacement pair quickly. I am very satisfied and will order from here again. These glasses have met all my expectations. The color is rich, fit and style perfect and price is the lowest I have found. Thanks. Frames were a little loose and needed to be tightened other than that happy with the product.